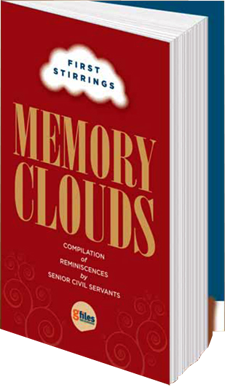 gfiles brings you a compilation of reminiscences by senior civil servants which were published in gfiles between 2007 and 2017. Don’t miss the opportunity to learn from the wealth of experience of veteran civil servants. Book in advance to avail of the one-time offer of a special 40 per cent discount on the MRP of Rs. 995. You can make the payment through cheque, DD or RTGS (Rs. 846) in favour of Sarvashrestha Media Pvt Ltd.